Airsoft is essentially a big, fun game of tag making it a great game to share with friends or in which to make new ones. 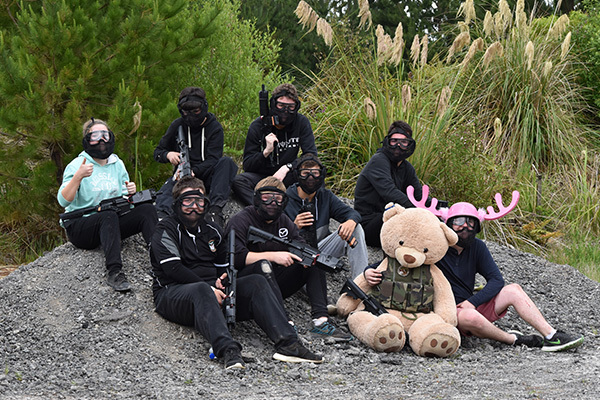 The Airsoft community is very inclusive, attracting players from all walks of life and offering games that suit just about everyone. While the sport mainly attracts men, there are many women players. As the skills needed to become a good player simply require practice, it is one of the few sports where both sexes can compete together (or against each other) with no discernable advantage either way. The sport offers great team-building opportunities and is a fantastic incentive to get fit and enjoy the great outdoors. One of the few female players (and an outstanding Airsoft player to boot) winds up the BB’s in her Airsoft gun magazine in preparation for her next engagement with the opposite team. There is a great deal of camaraderie in Airsoft. The games themselves often generate great moments of hilarity or skill which are fun to discuss or joke about afterwards. There is a fantastic sense of acceptance within Airsoft clubs. Members know they are in a minority sport; they tend to value everyone who gets involved. 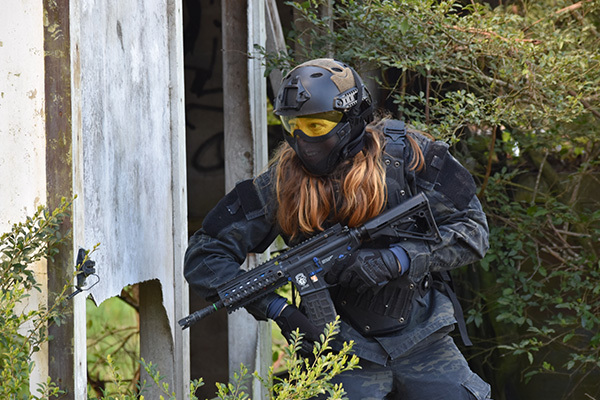 While there may be some intense arguing on the field, players are generally very tolerant of players who make a mistake as Airsoft players know they have messed up at some point. Players are always keen to talk about their gear and share experiences. They will often let other players try out their guns (taggers) if they show an interest. Players will also often lend extra gear to a player who is having issues with their own in the interests of ensuring as many people get to have fun at a game as possible. Like most sports, there is an element of teamwork involved in playing Airsoft. Even in roles that may require players to separate, they are typically acting towards a common team goal. 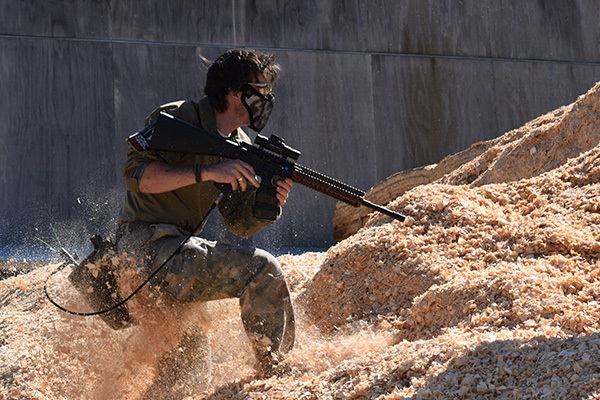 Most Airsoft games are either short or have multiple objectives that offer quick wins within a much larger game. These quick wins help solidify a sense of teamwork and joint success, great for creating peer bonding. 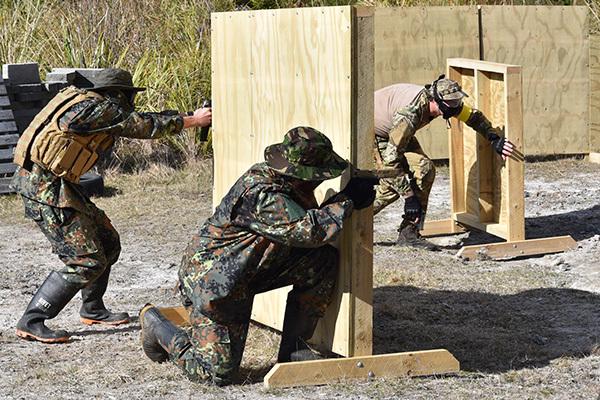 These aspects make Airsoft an excellent choice for team-building exercises and social club events. Airsoft has been a fantastic tool for teaching the younger players who become involved about how to work with others, make compromises and create groups for problem-solving. All valuable experiences for tackling the world as a well-rounded adult. If you are looking for a sport or hobby to help you get into shape, then Airsoft should be at the top of your list. While being fit is not a requirement for Airsoft, like most sports it is an advantage. 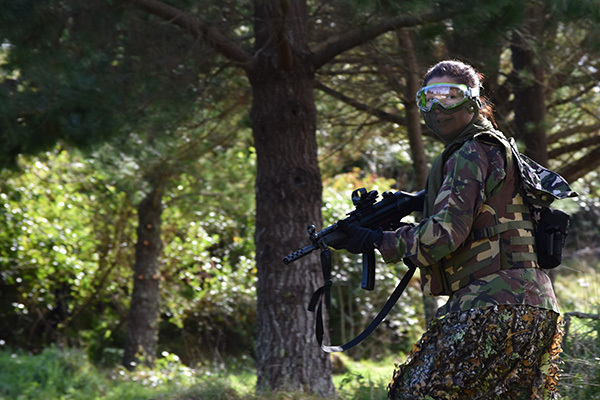 Airsoft club games can often run for several hours and range over large fields. Players may need to carry a lot of gear, contend with uneven ground, and often engage in an energetic burst of running, all of which is a lot easier if you are fit and healthy. Thus the sport offers great incentives for being healthy. Airsoft club games are usually not overly complicated. This is to ensure as little confusion on the field as possible. Uncertainty can lead to players unwittingly breaking the rules which would result in unfair gameplay.